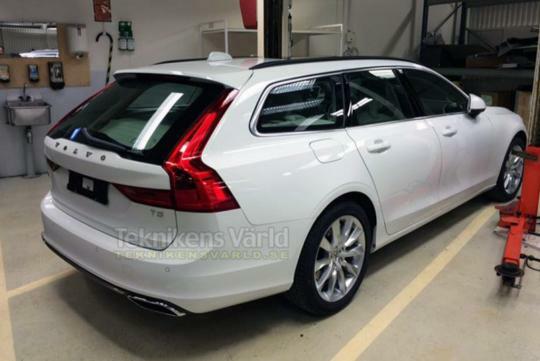 Thanks to Teknikens Varld, Volvo's upcoming large estate, the V90, has been leaked. Due to be revealed at the Geneva Motor Show in March, the V90 is the successor to the V70 estate which has been in need of a refresh for far too long. Sized like a BMW 5 series touring, the V90 features a raked rear window. Usually, this might mean a reduction in loading space but according to the source, the V90 compensates the lost in cargo space by being longer than its predecessor. 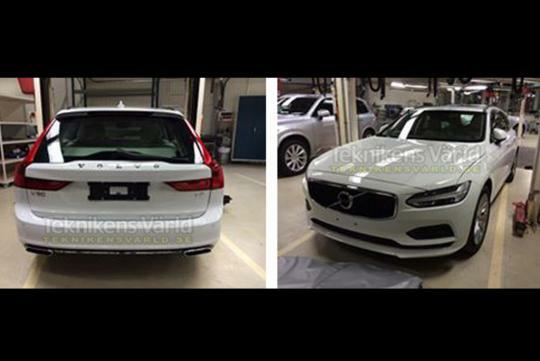 At the front, V90 carries a similar face to its sibling, the S90 sedan. Powertrain wise, expect the engines seen in the XC90 to feature in the V90 too. It is also said that Polestar will be working on a high-performance version of the car.